Thanks to social media, it feels like we are inundated with photos and videos about different diet and fitness fads on a daily basis. From Keto and Paleo to Whole30 and the Alkaline Diet, dozens of new dieting methods seem to gain popularity and then fade away. Instead of trying to limit your body’s intake, you can try to practice intuitive eating, which is more of a mindset surrounding the way you eat. Incorporate healthy eating habits like adding veggies to your meals and enjoying an afternoon protein shake without feeling guilty about listening to your body’s cravings. Learn more about this health trend and decide if it’s right for your nutrition goals. The most important aspect of intuitive eating that you need to understand is that it is not a diet. Diets are specifically designed eating habits that are meant to help people control their weight. Intuitive eating is more of a way of thinking of eating that does not involve strict guidelines and limitations. For example, some diets restrict your consumption of carbohydrates. When you’re following an intuitive eating practice, you train yourself to become more in tune with what your body wants. If you’re craving a carb-heavy meal after an intense workout, intuitive eating encourages you to follow that urge to satiate your hunger. protein in your meals. Protein shakes are tasty drinks that you can easily incorporate into your intuitive eating plan. Essentially, intuitive eating is all about recognizing when your body is hungry for what and eating just enough to make you full. We often eat this way when we’re young, but as we get older, we learn certain eating habits, such as finishing everything on your plate. People who follow intuitive eating habits believe that we should pay closer attention to what our body is telling us about our hunger and satisfaction levels. Intuitive eating is essentially just the practice of perceiving when we’re hungry and full and acting on those sensations accordingly. 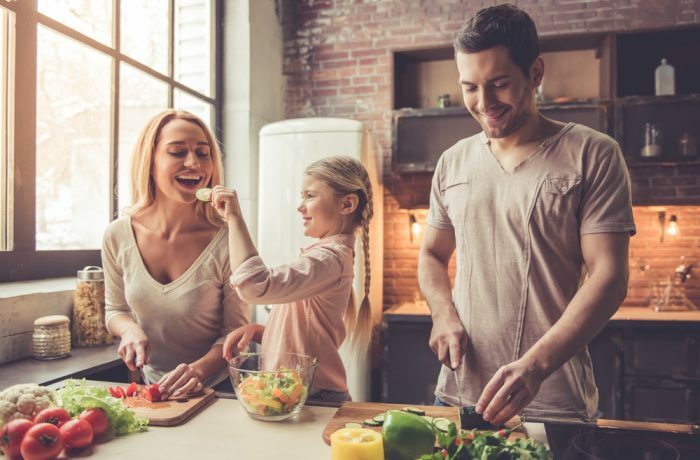 Though mindful eating and intuitive eating are often used interchangeably, they are two different approaches to healthy nutrition. While intuitive eating encourages you to listen to what your body needs, mindful eating is more about learning to be aware of what you are eating and noticing the taste, texture and feelings that come along with that. 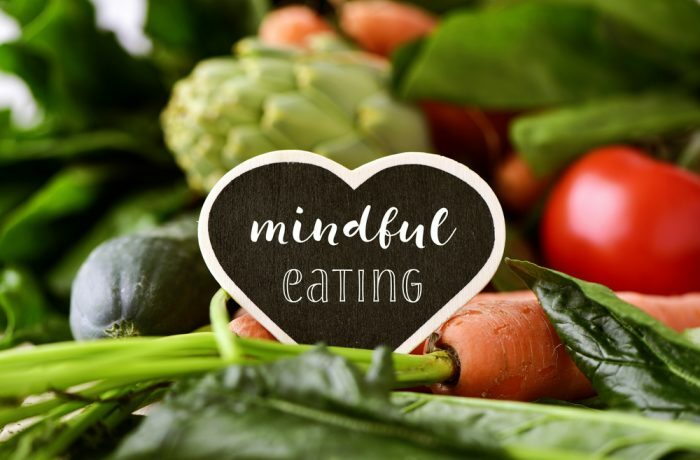 Mindful eating advocates a slower pace that helps you to connect with your food and be mindful about what you are putting into your body. Why Is Intuitive Eating Beneficial? Intuitive eating is not the right choice for everyone, but there are some great benefits to following this eating practice. Research shows that intuitive eating has both mental and physical benefits. Following the 10 principles of intuitive eating has led to higher self-esteem, an optimistic outlook and better body image. From a nutrition standpoint, intuitive eating can help lower BMI (body mass index), raise HDL cholesterol levels (sometimes referred to as “good cholesterol”) and decrease triglyceride levels. 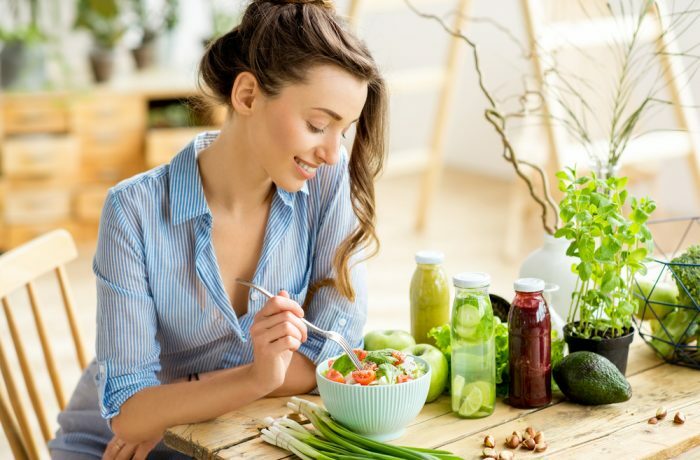 Intuitive eating does not feature any steadfast rules for people to follow, but it does include 10 principles that support the outlook that intuitive eating hopes to spread. Reject the Diet Mentality: This principle encourages you to release your preconceived notions about diets and losing weight. Let go of your frustrations that surround diet fads, which you may have tried without success. Don’t let yourself be held down by the idea that you need to follow a strict diet to live a healthy lifestyle. At Focused on Fit, we love this mentality and feel that it ladders up beautifully to our mission. We don’t prescribe to one particular diet, however, we do feel that our app will help you become more intuitive in your food choice over time. The app helps you make better choices, if you pay attention. Honor Your Hunger: Possibly the most important principle of intuitive eating, honoring your hunger means that you need to begin recognizing when your body is feeling hungry without waiting for intense feelings of hunger. When you wait too long to eat, you’re starving your body of necessary nutrients and, as a result, you may end up overeating. Make Peace with Food: One of the biggest issues that some people have with diets is the restriction placed on certain foods or food groups. Allow yourself to listen to your body and what it’s craving. Challenge the Food Police: The “Food Police” refers to the voice in your head that is holding on to common diet rules like avoiding sugar and cutting calories. Try to turn this voice off and let yourself listen to what your body actually wants instead of what you think you should want. Respect Your Fullness: It’s easy to accidentally overeat, especially if you’re a quick eater. Try to notice when you’re feeling satisfied without allowing yourself to get into the uncomfortably full territory. Slowing down your eating pace is one way to allow your stomach more time to digest and make it easier for you to notice when you’ve had enough. Discover the Satisfaction Factor: This principle is more about the experience of eating. Pay attention to how eating makes you feel and the pleasure you derive from it. This awareness and appreciation will often help you to feel more full from less food. Honor Your Feelings Without Using Food: One of the most common reasons for overeating is that we use food as a coping mechanism for other feelings we’re experiencing like stress or anxiety. Instead of turning to food, allow yourself to recognize these feelings and find another outlet such as writing in a journal or participating in an activity. Respect Your Body: This is an important step to self-acceptance. Everyone has different body types and features. Make peace with your body and understand that optimal health for you may look different than for someone else. Exercise—Feel the Difference: Instead of obsessing over burning calories and the types of exercises you think you should be doing, find an activity that you truly enjoy and notice how it makes you feel. You should find and practice a physical activity that makes you feel revitalized and happy afterwards. Honor Your Health: Though intuitive eating is all about listening to your body and not restricting yourself from foods that we sometimes consider bad or unhealthy, that does not mean you should overload on these types of foods. Indulge in items that make you feel good and are good for your body, but don’t feel guilty about eating that chocolate cake once in a while either. 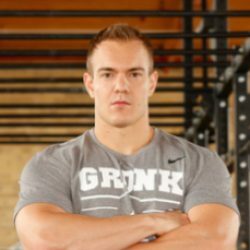 Thanks Chris, for your perspective on Intuitive Eating. We are honored to have you share this information with our community. This principle of Intuitive Eating is simple yet effective. The Focused on Fit App may offer a great tool in the road to becoming a better intuitive eater. When diligent about tracking your nutrition, you will slowly learn what foods fit your lifestyle, making you a better intuitive eater.